Sell Art Online with Art In Canada Inc.
We never take a commission from the artist. When you sell a piece of art, you make arrangements with the buyer for payment and shipping. Art In Canada is an online art gallery where you can showcase and sell art online and get noticed in a professional way. We do more than promote your art on top search engines. We also promote art on social media so we give you the best of both worlds to sell art online. Art buyers can now search for art at their convenience. 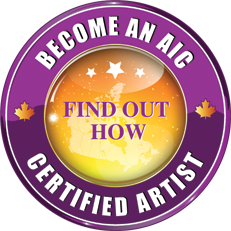 We are promoting artists 24/7, and have been doing this successfully since 1999 with Art In Canada Inc.
Our friendly, knowledgeable staff are here to give you guidance in this online gallery, and to create a lasting relationship with you.